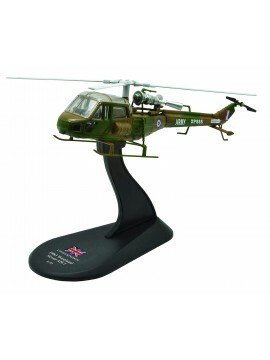 A selection of all our Falklands War related aircraft models. 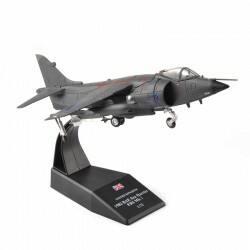 A 1:72 metal diecast scale model of the BAE Sea Harrier FRS, MK I (Also referred to as the Harrier Jump Jet) - A jet-powered attack aircraft capable of vertical and short takeoff and landing. 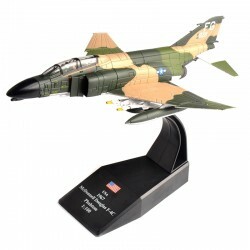 Originally developed by Hawker Siddeley in the 1960s. 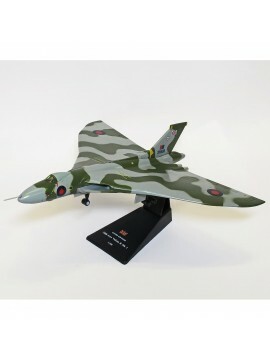 A 1:144 scale model of a 2008 Avro Vulcan B Mk 2 - A jet-powered tailless delta wing high-altitude strategic bomber which was operated by the Royal Air Force from 1956 until 1984. 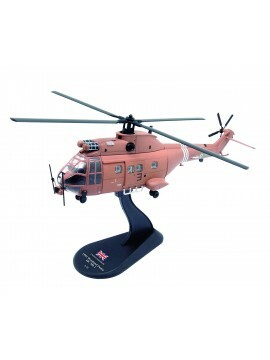 A 1/72 scale diecast model of a British Boeing Chinook HC.1 - A large, tandem rotor helicopter operated by the Royal Air Force, providing heavy-lift support and transport across all branches of the British armed forces. 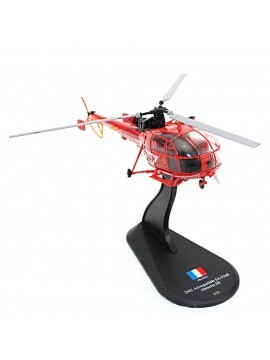 A 1/72 scale diecast model of a French Aerospatiale Alouette III - A single-engine, light utility helicopter which proved to be a relatively popular rotorcraft with over 2000 units constructed. 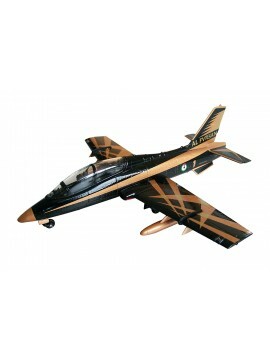 A 1/72 premium scale model of the Aermacchi MB-339 Trainer Aircraft (UAE Air Force). The Aermacchi MB-339 is an Italian military trainer and light attack aircraft. 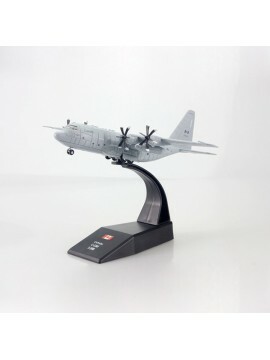 It was developed as a replacement for the earlier MB-326.